I have been sourcing for a higher quality digital camera to replace my present one for quite some time now. Since I’m a regular light baggage traveler, owning one big and bulky camera would not be an ideal choice. Moreover, the price of such digital cameras would be out of my budget. Unfortunately, it’s not easy to get any compact digital cameras out on the market that would suit my preferences. Not until recently that I found out two models that would surely fit my needs. You see… I have some problems taking good night scenes with my present camera. On top of that, shooting under low light or fast moving objects have been quite a headache. My present camera refused to focus well and the time needed to focus properly would take ages. That’s something I dreaded while owning that camera although the sharpness of the shots were superb, especially with outdoor shots under clear weather. I ended up with two of the best choices now. 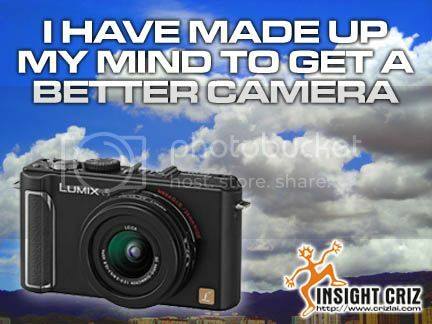 It’s either the Canon S90 or Panasonic Lumix DMC-LX3. Both the digital cameras were designed for easy and yet high performance shooting. What I love most would be the speedy performance under low light conditions which I had problem with all these while. I now have to make up my mind to decide which brand to purchase. Both the semi-pro digital cameras have their own unique features and it was really a tough decision. Eventually, I had decided to get the latter as it had a hot shoe slot where I can put on an extended flash light although the other one did have a better shooting range. Moreover, I love the F2.0 24mm LEICA DC VARIO-SUMMICRON lens, 10.1 mega pixels and an ultra-sensitive 1/1.63-inch CCD developed specifically for this model. You would surely see better shots from me from now onwards. Having a newly born child in a family would surely be the pride to any parents. 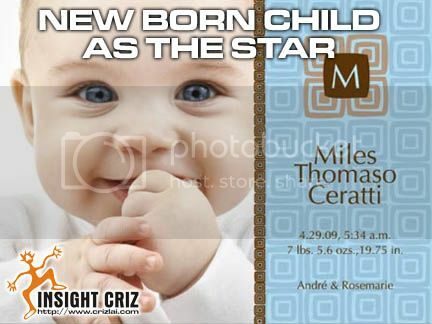 Don’t you think you should make your child into a star by letting the whole world know about his or her arrival? I have seen many ways people had done to bring the arrival announcement to the peak. Some would compile all the nice memories into a scrapbook and show it to everyone. Another would be by producing the best shot in their album and producing it into photos to be attached to handmade announcement cards. These methods would be great ideas to be personal but not many people have the time to deal with the time consuming task with a hectic work life. Why don’t you leave it to the experts to handle all your birth announcements need while you spend more time rejoicing with your family? I have received many of these cards over the years and I found them to be of great memories. I even had all of them kept inside one of my scrapbook sections. Browsing through the scrapbook recently, I found some of the child in the cards had grown up to be fine gentlemen and ladies. Wow! Time really flies! If I had any more children, I would surely send out more cards to make them into stars, not only one time but stars forever in anyone’s memories. IS ONE GIGABYTES OF MEMORY ENOUGH FOR A FOOD BLOGGER? As a food blogger, I had experienced going for food expedition from early in the morning until late at night. By the end of the day, there were hundreds to thousands of photographs that I had taken throughout the day and it ate up more than one gigabyte of my hard disc space when transferred. Even as an amateur photographer, I had utilized so much of my memory card, what more would you expect from a professional photographer? Unless you are well equipped with extra batteries and memory cards to store all the shots, do not ever think that one gigabyte would be enough for high resolution photographs. Just look at a simple plate of lamb chop with all the beautifully garnished side dishes and greens in a restaurant that your are reviewing. You would be surprised that you may have taken more than thirty 4Mb or more per shot of all the angles in order to capture the perfect lighting without realizing it. 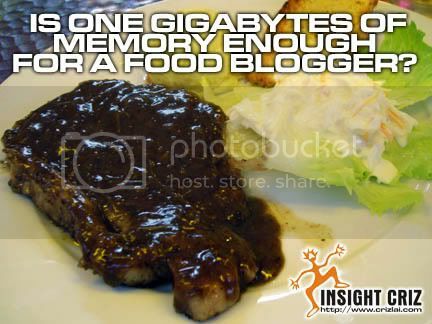 If you were to have 10 different dishes, your one gigabyte memory card would have been overloaded. In actual fact, one gigabyte of memory card would be able to store barely 250 shots of high resolution photographs. If you have a laptop by your side to store in all the photographs, then you have no worries. But there’s also the risk of being spoilt by means of misplacing, getting damp in wet situation or worst still being left unattended in a hot and humid weather. If you appreciate your work of art well enough, it’s always best to have backups in case of emergencies. Investing in more memory cards would not be a waste. Not only will they be your great partners in your adventurous expeditions, they would also help you store memorable moments that might come once in your life time. Moreover, they are not expensive. The most exciting trip of my life would be just a month away from now and guessed where it would be this time? It’s going to be a week of fun and relaxing vacation in Hawaii, away from my hectic work schedules. With beautiful sunsets, golden beaches and warm friendly locals, I would surely not miss out the opportunity to take as many photographs as I can for my personal scrapbook project. With so many potential fun activities around the state of Hawaii with over hundreds of surrounding islands to hop around, I could easily shoot up thousands of beautiful sceneries and landscapes from water activities such as surfing, scuba diving to inland activities such as hiking trip to the volcanoes and visiting pineapple plantations. Moreover, there are a few must visit islands from the northwest to southeast of the Hawaiian Island chain such as Kauai, Oahu, Maui and many more. Being a water sports enthusiast, I will definitely spend more time in Kauai, the fourth largest island in Hawaii. It is a snorkeling paradise. The clear and unpolluted water surrounding the islands is filled with abundance tropical fishes and reefs, a great place to witness the aquatic bounty of Hawaii indeed. The only two things I have to worry about now would be the batteries for my camera and the quantity of photographs that I could store in my sd card. With the chances of being out of the hotel most of the time, I guessed I would have to purchase more backup accessories for my digital camera. It’s going to be a trip to remember forever and photographs sure will bring back many fond memories. 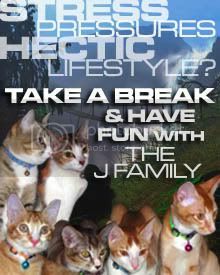 It is nice to have some pets around the house to brighten up a person’s life but sometimes having one too many playful kittens around the house could be stressful, especially when they do not know how to stop having fun all the time. Well, what would you expect? If kittens are not playful, they would not come up with the term “as playful as a kitten” right? And I have six in the family, meaning six times more of cleaning up to do. Would you believe that I had just swept the whole place barely 15 minutes ago and here they are tearing more bits and pieces out of their play boxes. Their hairs are also flying all over the house. It has always been that tiring cleaning up their mischievous acts on top of my heavy workloads. I could hardly have more than few minutes of non stress moments without ever thinking of the cleanliness of the house. I think it is time that I get myself one of those Sebo vacuums on offer at the nearest departmental store. At least I do not have to use much energy to get the house fully clean up within the shortest period of time. It might just a great idea after all. I will surely get one first thing on Monday morning.